A customer at a store should have an assurance the property will be in a reasonably safe condition from the moment they walk in the door – sometimes sooner. They should have confidence that if there is any potentially dangerous situation on site, it will be either open and obvious, or they will receive ample warning about it from management. When that doesn’t happen and injury results, our Boston personal injury lawyers are here to help initiate a premises liability lawsuit. In the recent case of Cox, et al. v. Wal-Mart Stores, Inc., it was the doorway itself the plaintiff alleged to be defective and dangerous, and accused the store of failing to warn her about it. This case was removed to federal court upon request of the defendant, after first being filed in Mississippi state courts. Still, because the incident occurred in Mississippi, state law there governs whether the plaintiff has a valid case. According to court records, the fall occurred in April 2011. For a half hour prior to the incident, a man sitting on a bench outside the store observed as the plate on the threshold of the automatic doorway “rocked” or was prone to “rising” up from the floor about an eighth of an inch every time a customer or cart passed through. He said it appeared as if the unit wasn’t tightly secured, perhaps there were a few screws loose. Most had successfully navigated it without issue, until the plaintiff and her husband entered. The man on the bench would later testify that he watched as the two entered the doorway. The plaintiff’s first foot crossed the threshold, triggering the motion sensor and causing the plate to rise. Once this happened, the plaintiff’s second foot caught on the plate, causing her to trip and fall to the ground, sustaining serious injuries. 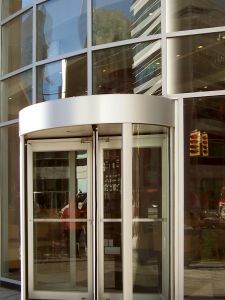 After the case was removed to federal court, a judge granted summary judgment in favor of the store, taking as fact that the door was defective, but finding the defect was not unreasonably dangerous as a matter of law, based on a 1995 case, Tate v. S. Jitney Jungle Co. That case resulted in a noted standard that certain dangers are not unreasonable because they are usual and customers expect to encounter them, including curbs, steps and thresholds. The appellate court ruled the trial court erred in this finding. First, the court questioned whether the Tate case had established an exclusion of liability for all dangerous curbs, steps and thresholds in Mississippi. Beyond that, however, all the other cases that had been decided in favor of business based on this case had involved stationary hazards. In this case, the court found, the danger wasn’t expected because the customer did not expect that a plate in the automatic doorway threshold would rise up and present a trip hazard. Thus, summary judgment was reversed. In Massachusetts, there is no catch-all exception in slip-and-fall cases. A defendant can argue that a danger was open and obvious, but even that doesn’t necessarily negate the responsibility of the property owner to maintain safe conditions or the duty to warn.